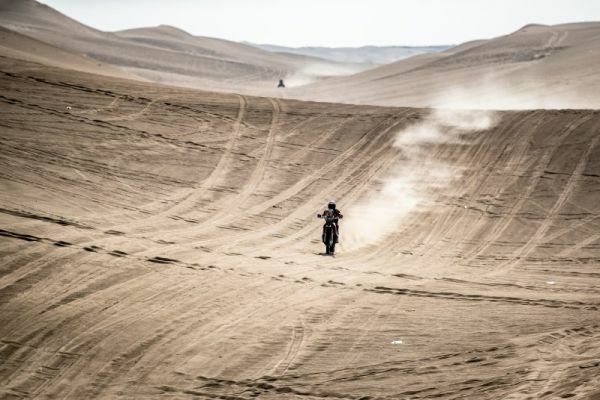 Chilean rider Nacho Cornejo showed his pace yet again, marking the best time during the final special timed stage of the Dakar Rally fought in the Ica dunes close to Paracas. 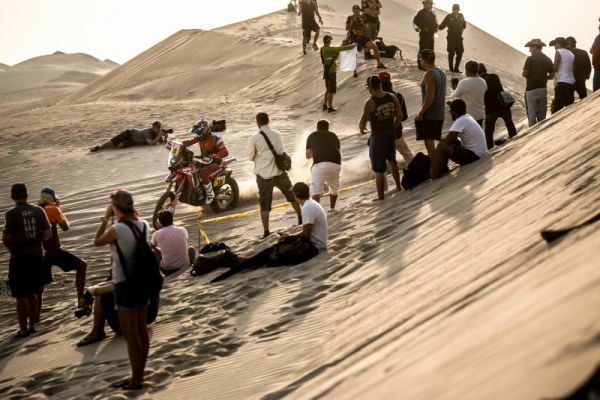 Cornejo, with the second final position, 2’21 behind the special stage winner, concludes his best Dakar performance to date, improving on the tenth overall position achieved in the most recent edition. 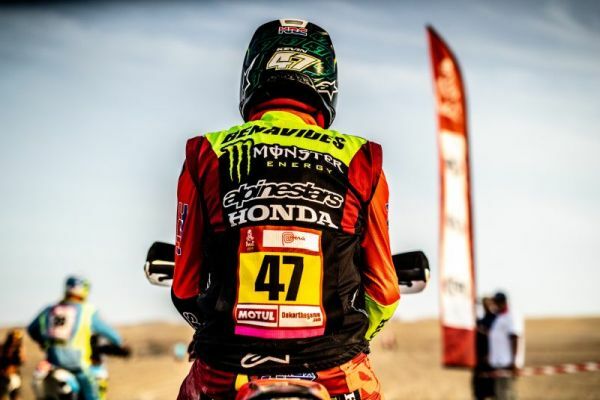 Today the rider posted seventh place in the general standings this year – a promising result for the young man from Iquique. The truth is that I am very happy about the comeback that I have made. At the beginning I lost time in one stage and the chances of being in the top ten were a little bit off, but we did not give up and pushed until the end. I ended up being seventh in the general, so I'm very happy. I am also satisfied with today's stage, a second place is very good, I think I made a good performance. I would have liked it too if my companions could have finished the race, as some of them would have achieved the victory. At one point we had two riders fighting for the victory and we go home know that we have five riders in the squad capable of fighting for the top, which is very positive for the team. I have no doubt that next year we will return stronger. Personally, I will continue to work hard to keep up with the team's objectives for the next edition of the Dakar. I want to thank all the staff of the team that have worked very hard, thank them for the great commitment they have with the project. We will continue working hard to achieve victory in the coming years. It didn’t turn out the way we thought it would finish, obviously I have prepared a lot for this edition, I had a very big dream to fight for. It's a bit ugly to end up like this and that things are resolved at a table. Finally I finished the race in a decent way, with my head held high as a good athlete. Both Honda and I have done things well. We have appealed against the penalty and now we will have to wait until the race is over to see what happens. For my part today I went out to enjoy the last stage, I rode calmly. Our next goal is the world championship and then to prepare for the next Dakar. I want to thank all the team, sponsors, family, girlfriend, friends and all the people who support me through social networks. Thank you very much to all. We are quite unhappy about how the Dakar went, especially in the final part of the race. We, as a team, have done the best we could and we have given everything. The race ended without a deserved prize, but the team has worked hard and everything worked well. We have to thank to HRC and Honda and also to all our sponsors, Monster Energy, Motul, Showa, Termignoni, Givi and all technical sponsors because without them, all this could not be possible. We will not surrender and next year we will return to fight for victory. Unfortunately we are quite unhappy with the jury and the organization of the race. Firstly for the penalty that they have imposed on us, which we have appealed against. 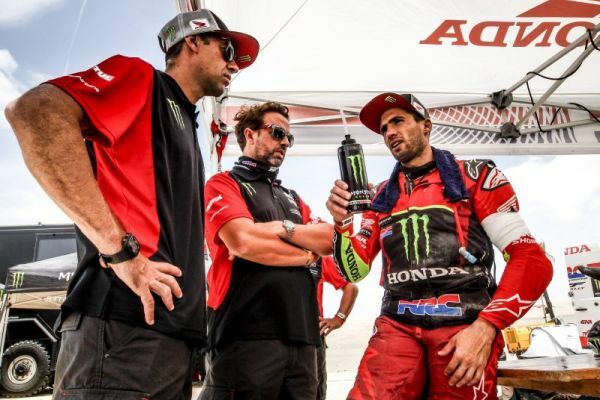 We are also unhappy with how they have applied the rules to the rest of the participants of the Dakar: it can not be tolerated that one is penalized for something that could be done, and in contrast to others who have acted deliberately with the intention of doing something that they knew was not right, were not penalized. Let's hope that everything is studied and the ways they apply the rules are changed.